The England cricket team had a surprise visitor at their training ground in form a snake on Monday. The official Twitter account England Cricket posted the video on their account. "A surprise visitor to training this morning...," they captioned the video. 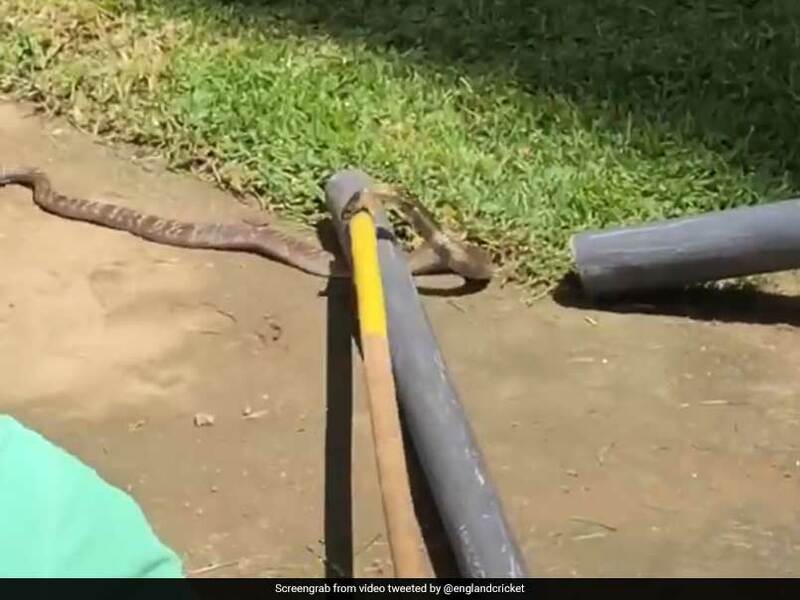 In the short 12-second video, two caretakers are trying to separate the snake from a pipe that it was entangled with. Onlookers and staff are trying to click photographs and making videos of the same. The England cricket team are in Sri Lanka for a long series where they will play 5 ODIs, 3 Tests and 1 T20I. The first ODI of the series at the Rangiri Dambulla International Stadium, Dambulla, produced no result after rains forced the umpires to call off the match. The second ODI was also curtailed by rain but England went on to win the match by 31 runs (DLS method). Captain Eoin Morgan hit 92 decisive runs to guide England to a damp squib win with rain halting play for the second straight match in their one-day series. England were awarded a 31-run victory on a faster run-rate after a torrential downpour at the Dambulla ground. The tourists scored 278 for nine from 50 overs, with Morgan hitting 11 fours and two sixes in his innings, while Test captain Joe Root made 71. The umpires stopped play with Sri Lanka on 140 for five after 29 of their overs.